Reclaim the space from an old stump or newly removed tree! 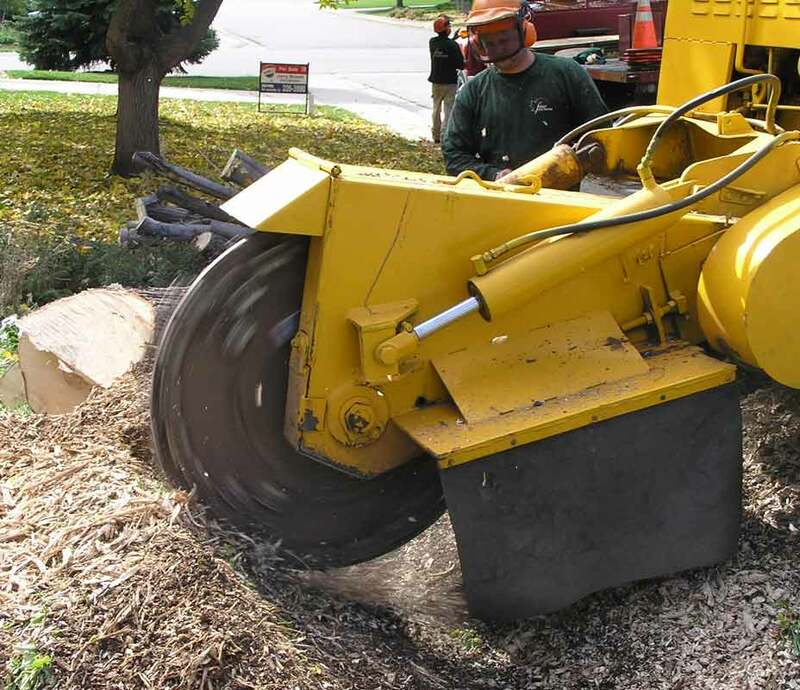 Stump grinding removes the stump and root portions of a tree by grinding the solid material into a removable mulch/soil mixture. 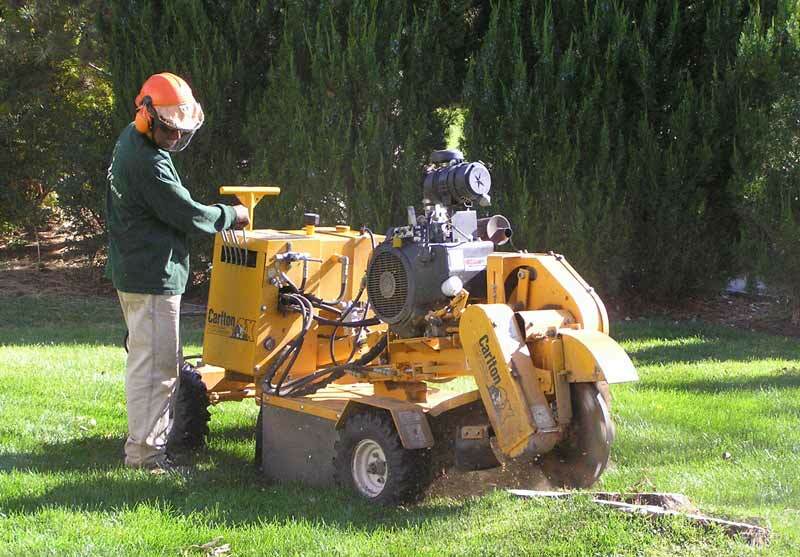 With multiple machines, we have the ability to remove large or small stumps in most areas. This is a tow-behind unit (attached to the back of a truck or tractor). This machine can completely grind out even the largest stumps when need be, allowing for replanting in the same spot or simplifying new construction projects. Make sure to specify the depth underground needed for your project. This machine is self-propelled and can enter spaces as small as 36 inches. Maximum grind depth with the small grinder is about 18 inches; we recommend not replanting a tree over large stumps removed with this machine. There is little damage (comparable to that from a mower) to lawns from this machine during travel. We also have the ability to lift the small grinder over houses or fences with our crane if access is problematic. While we don’t offer clean-up discounts for leaving the stump grindings during stump removal, the grindings make a great mulch for beds or organic matter for gardens!